100% Chardonnay from Monterey County, California. SRP of $16 and available for as low as $10. Sample received courtesy the winemaker for review purposes. 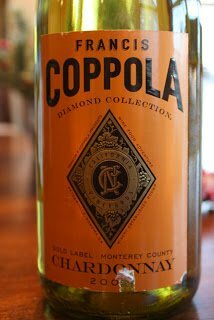 “Francis Ford Coppola Diamond Collection Chardonnay is sourced from two distinct vineyards in Monterey County that, when blended together, achieve a lovely complexity and optimal balance of ripe fruit and acidity. 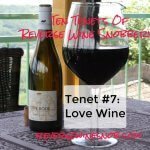 Half of the fruit is fermented in French oak and undergoes malolactic fermentation, and the other half is fermented in stainless steel. This mix of techniques creates a creamy texture and rich flavors of pear, melon and apples with notes of tropical fruit and a beautiful vanilla cream finish. Enjoy with crab cakes, apricot chicken and vegetable quiche. When it comes to Chardonnay, it’s all about the oak. OK, maybe not ALL about the oak, but the use of oak in Chardonnay tends to be a great dividing line. Today’s wine takes an interesting strategy — give them some of both. As the label states, half this wine sees time in French oak and the other half does not. The result, rather surprisingly, is a wine that takes on some of the best characteristics of both styles. The 2009 Francis Coppola Diamond Collection Gold Label Monterey County Chardonnay begins with aromas of green apple, pear, honeysuckle and a little butterscotch. 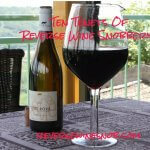 The wine has a nice creamy texture but is not overly buttery by any means. Pear, apricot, lemon and a little melon are the predominate flavors. 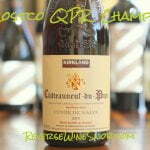 On the finish, those fruit flavors carry over plus some more prominent oak notes. Really just a great compromise for oak and non-oak lovers who want to share a bottle of Chardonnay!